As Rapid Eye Technology has grown, many technicians as well as their friends and families, have communicated their desire to move fully into their confidence and power. 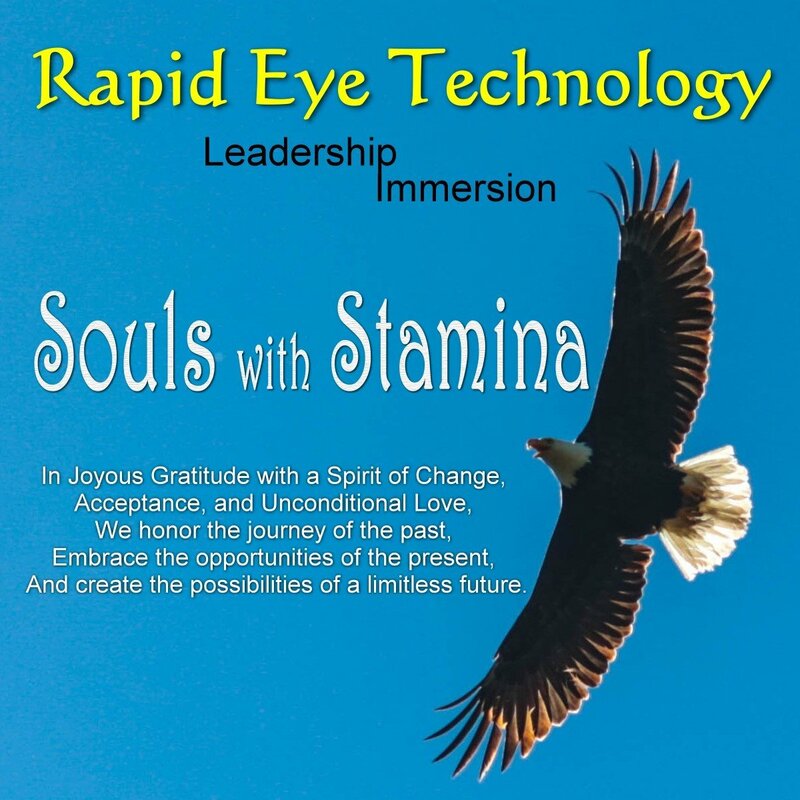 In order to supercharge and lift our Skills for Life and our continuing education programs to the next level, we created the RET Leadership Immersion…Souls with Stamina (SWS) course. This ground-breaking precedence of excellence was such a complete success we chose to offer it every year! Whether you are a Rapid Eye Technician or not, come join this conscious community and move into your magnificence. It is through leadership skills that we “stand on a hill and let our light so shine!” Please bring your family and friends as the bonding experience of this immersive will benefit everyone you touch. The Souls with Stamina community has ignited the fire of JOY into every imaginable arena. Come join us for 8 days of loving personal growth experiences where you get to know YOU better. Team-building exercises teach you how to show up more fully in your world in enthusiasm and JOY. SWS will shake up your body, mind, and spirit to your next level of consciousness! Join the Souls with Stamina community. You will have individualized attention in your small group with a leader assigned just to you. We are all about creating positive lasting change that you take back to your corner of the vineyard and teach only love. Because this is an Immersion, most choose to come to The Institute grounds and camp out or throw out a blow-up mattress in the building. There will be some extra tents here available for use – call for arrangements. You can also get your own accommodations at local campgrounds, motels, etc., and drive in each morning. Lunch will be done in a community style where everyone participates. If you are staying on the grounds, you will need to bring all your own personal items. Do not leave any personal items in the bathroom facilities - take them with you each day and store them in your car. If you are flying in, there is a HUT Shuttle (503-364-4444, check with them on price) that will deliver you to the Salem Red Lion Inn where we will pick you up and get you here – call for arrangements. Each day begins at 9 am and ends at 6 pm - plan to spend some time with your small group each evening. Please plan to attend and be present the full time - allow yourself to really focus on YOU while you are here. Please arrange flight times so you will not miss any time. Arrange your life - plan it right away - so that you have the freedom to BE PRESENT. You will receive a booklet and all materials that you need for this course. This immersive experience is a full 8 days at The RET Institute from 9 am to 6 pm daily, with some night activities. Shawn Gallaway is a singer/songwriter, winner of the Global Peace Award for his song, "I CHOOSE LOVE" in the folk category. He is a much sought after workshop facilitator whose heart is centered on ending the war between genders. Shawn’s art work is also outstanding!